My backup bike disguised as the world's only Kawasaki GPz1000 prototype at the 2018 Barber Vintage Festival. I had one of those Moto Guzzi 1000 LeMans IV, with 16" front wheel. SN#3, I don't think I should have never sold it. I bought it sight unseen after reading a road test in Das Motorrad. 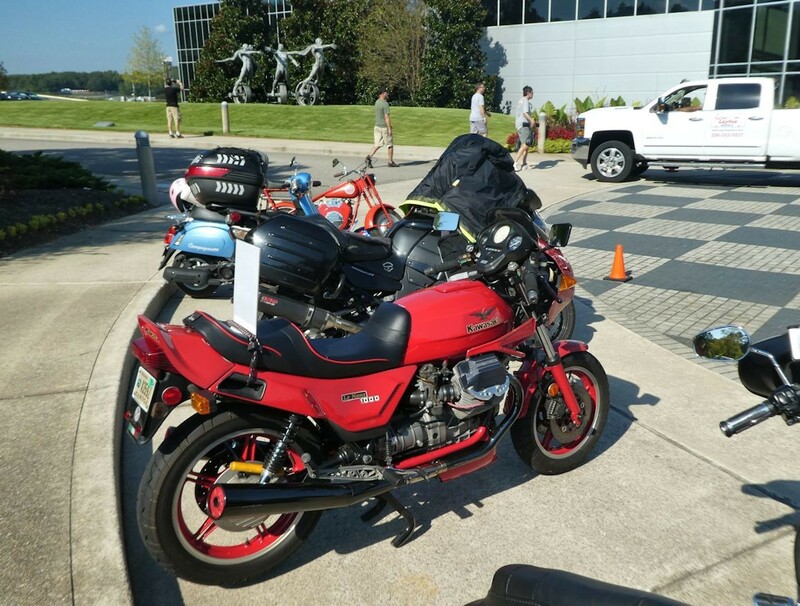 It was one of the three bikes the importer showed in Daytona and part of the 10 bikes, that where the initial shipment. Selling it was probably one of my biggest mistakes, but the 2000 BMW R1100RT I replaced it with opened a whole new world for me. I had a white one for a few years in the 90's, it was an amazing bike in it's day, loved it!. "2000 BMW R1100RT I replaced it with opened a whole new world for me. " Bernie, I have felt exactly the same of my Moto Guzzi that replaced an 83' Honda 1100F!